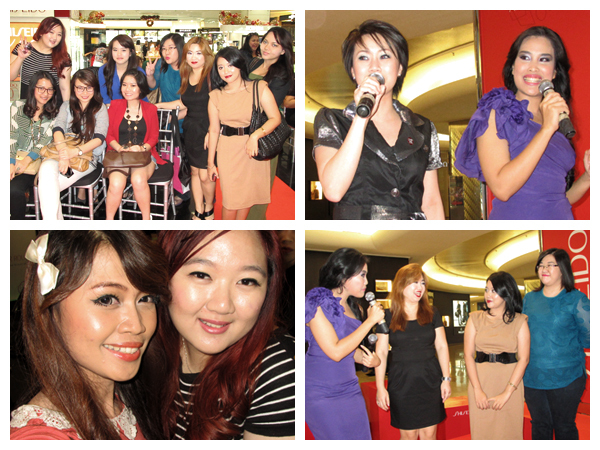 Left: The beauty bloggers & some IBB staffs!!! Me and Cilla using Shiseido Refining Foundation and Lacquer Rouge on our face ^^. Right: Shiseido's National Training and CR Manager, Ms. Sien Lie gave an opening speech about Shiseido, 140 years old Japanese makeup brand. WOOW!! 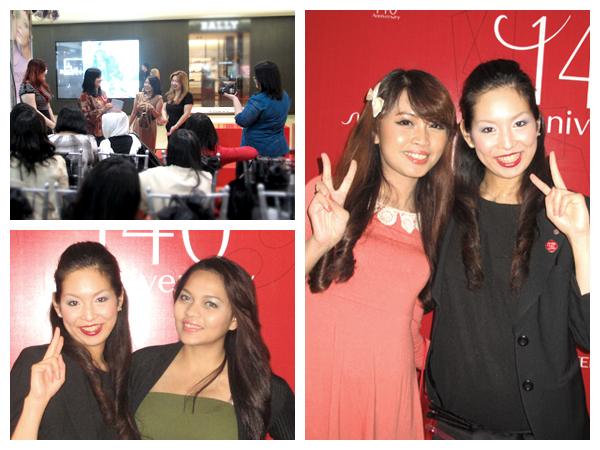 Carnellin, Nisa and Stephanie shared their testimonials about Shiseido Lacquer Rouge. 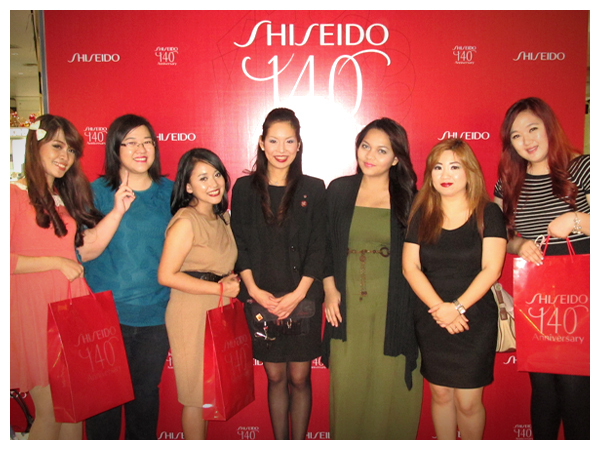 Meet Shiseido Makeup Artist from Japan, Ms. Hisako Inayama. 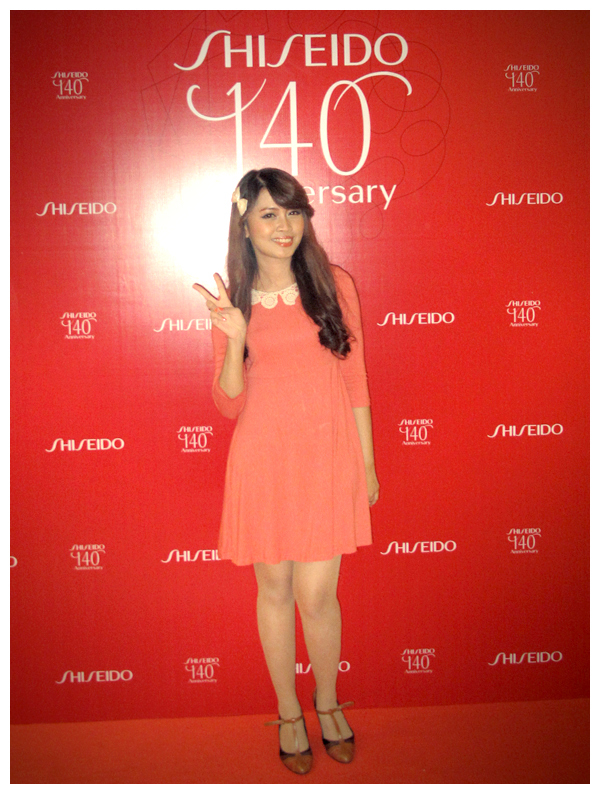 She introduced us the new Shiseido lip color: Lacquer Rouge. 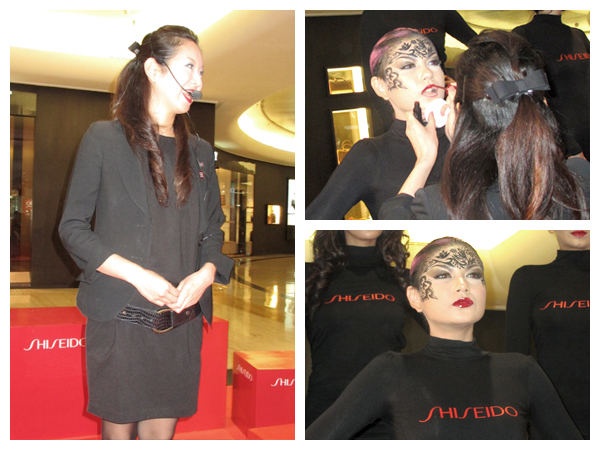 When the makeup demo started, she applied Shiseido Laqcuer Rouge on the models lips. Look at the models unique makeup! 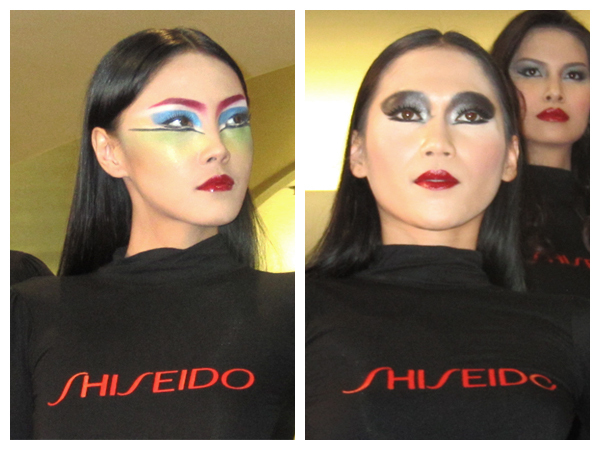 Each of it reflects Shiseido makeup trends from the past few years. After the makeup demo, the models were walking on the red carpet, showing Shiseido Lacquer Rouge shades on their lips to the audiences. The IBB Staffs (without Mada) with Ms Hisako Inayama.